Popeye – should he have eaten a hamburger today instead of his spinach on Tuesday? It is true that spinach was originally thought to be a great source of iron. And we know that when people are low in iron, they can tire quickly. But this finding was based on an 1870 reporting error. 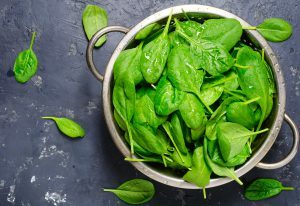 A decimal point was not used and 35 mg was published instead of 3.5 mg of iron in a serving of spinach. This error was discovered and corrected in 1937 – but this was years after Popeye first appeared in 1929 and spinach became widely associated as his source of strength. Thanks to more reliable and modern research methods, we have a better understanding of which diet choices to make for muscle strength. In one recent study, researchers followed a group of 100 women between the ages of 60 – 90 years. Everyone in the study did resistance training twice a week. Half of them ate a diet higher in protein. The other half ate a diet higher in carbohydrates. At the end of the study, both groups did the same amount of exercise over the 4 months. However, those who ate the higher protein diet gained an extra pound of lean muscle mass. When their leg strength was measured, this extra pound of muscle allowed them to lift more weight than the group on the higher carbohydrate diet. 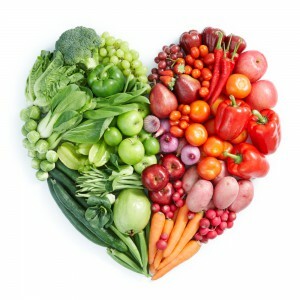 As with any dietary change, if you have health issues, you should discuss your options with your doctor. If your diet needs to be adjusted, ask to meet with a dietitian. They can help you identify which sources of protein are best for you and how much to eat. While red meats are high in protein, they should be limited. Instead legumes, tofu, dairy products, poultry and fish are healthier protein choices to consider. It’s Time to Sit up and Take Notice! Sitting is just part of what we do every day. In cars. On trains. While we eat. While we watch TV. While I am typing this blog. We do it so much we lose sight of how much of our day is spent in this position. Let’s note of what long periods of sitting can mean for your health. Behavior research looks at people’s habits to determine what contributes to staying healthy. Early reports tied poor health to the number of hours spent watching TV each week. Then researchers started collecting data on the time spent playing video games and at computer screens. So now the focus is on the common denominator in all of these behaviors – sitting. This applies to everyone. Even if someone workouts on a regular basis, longer periods of sitting still makes this person likely to become overweight and to develop heart disease. There are two main reasons why. And they are connected. First, the time spent at these activities mean you are not spending time being physically active. Secondly, when you are not staying physically active throughout the day, you are not as healthy as you could be. Therefore, you have a higher the risk of developing a chronic disease. That is why the latest guidelines recommend for you to get up and sit less. Click here to learn more. Since 1963, February has been celebrated as Heart Month to urge Americans to join the battle against heart disease. In 2004, the Go Red For Women campaign was started to help fund research for the entire month. It’s important to note that heart disease remains the leading cause of death in men and women, and research is ongoing. Support Go Red For Women by participating in National Wear Red Day® on Friday, February 2, 2018. 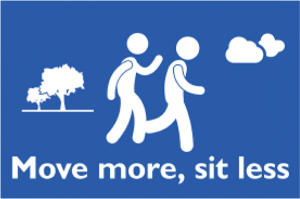 People who sit for longer periods of time are more likely to become overweight and/or develop heart disease. This even applies to people who do a lot of exercise. So, next time you are sitting for 30 minutes, get up and move around. All it takes is a few stretches or a few steps and 60 seconds of your time. 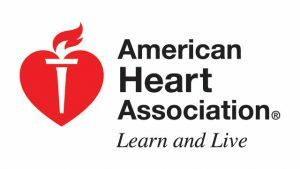 If you are between 40 – 79 years of age and have not had a previous heart attack or stroke, you can use this Heart Risk Calculator to see where you stand. If you have any concerns, you should discuss them with your doctor. DHAC can help you reach your fitness and health goals – even with medical conditions. Each member of our Exercise Physiology staff holds a degree in Exercise Science. You will find that their expertise and commitment will help you develop a safe and effective approach to exercise. Time for a Gut Check? Chances are, you have heard the term gut biome mentioned recently. It is a very hot topic of research and there is a lot of excitement in what will be discovered. Okay, sounds promising. But what is it? Our body is a host for bacteria. Simply put, the bacteria that live in the intestines are called gut biome. The terms microbiome or microbiota are different ways of saying the same thing. Some bacteria have jobs that keep us healthy. Other bacteria are there to challenge our health. Living in a modern environment is changing which bacteria survive in the gut. The overuse of antibiotics, high levels of stress, lack of sleep and processed foods are upsetting this sensitive balance. This could be why more people are being diagnosed with a variety of diseases such as obesity, type 2 diabetes and Crohn’s disease. Food is often touted as one of the most effective strategies to re-establish a healthier gut biome. Little was known about how exercise may work. Until now. A study done at the University of Illinois has reported that changes can be tracked when people switch between active and inactive lifestyles. For this study, the diet remained the same. Higher levels of helpful bacteria were found when subjects were exercising compared to when then were not. While this is promising, it is too early to know exactly what this means. There are trillions of bacteria to monitor before scientists can determine which of them could improve our health. In the meantime, there are plenty of reasons to eat healthier and to make exercise a regular part of your day and DHAC is here to help you reach yourfitness and health goals. Visit our website or give us a call at 781-326-2900 to set up an with one of our Exercise Physiologists.